[Topic] Which Hero Stage is the Most Difficult for You? 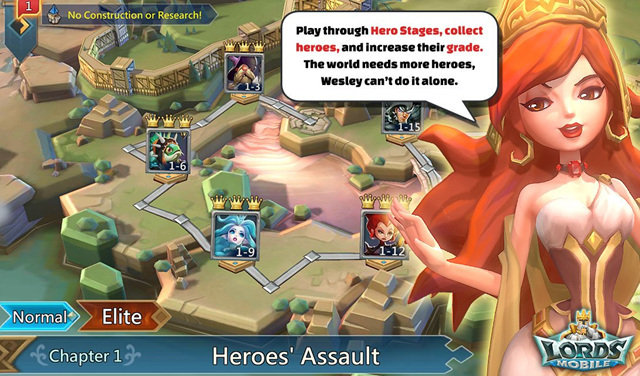 Hero Stages are more than just a mini-game inside Lords Mobile. Hero Stages allow you to unlock new heroes, level up your heroes, gain trophies and speedups. But some of the stages are different to clear and you may need to change builds quite a lot. Personally, elite 6-12 is the most difficult for me. Stuck at the stage for 2 weeks and tried all the lineups I found on Google but all failed. I wanted Rose Knight desperately. I just kept trying and finally passed this stage with 3 stars. My suggestion for cleaning hero stages Try new setups even if they seem weak, you have nothing to lose but time. Topic Today: Which hero stage is the most difficult for you? How many times have you tried to challenge? Do you make it? Comment below and I'll pick 5 answers to send 500 points. Previous Previous post: [Topic] How Did You Start Playing Lords Mobile? Next Next post: Lords Mobile – How to Shelter Troops ?